View Upcoming PMP® Prep Program Offerings to Fast Track Your Way to PMP Success! Stepping into a leadership role is an exciting experience, and it’s stressful. Going from subject matter expert or college graduate to leader, while simultaneously developing a management style, is a difficult transition. This is why being an effective manager becomes less about your industry expertise and more about having a leadership state of mind. Shifting into a leadership state of mind doesn’t happen overnight. It comes with time, experience and unfortunately after making some mistakes. But that's reality. The first step in shifting your mindset is to let go of the fear of making a wrong move. To start, present an air of confidence in front of your employees, be willing to ask questions and be honest when you make a mistake. Employees will respect you and feel more comfortable, which often improves team loyalty. 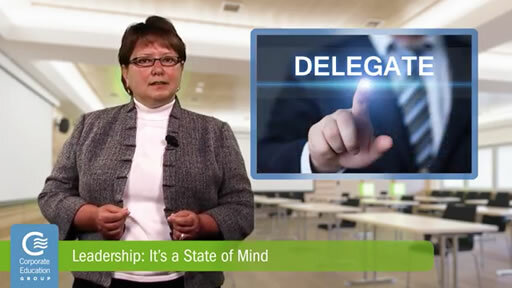 The ability to delegate is another important piece of a leadership state of mind. Remember, you are no longer an individual contributor and you do not have the ability to handle every task singlehandedly. When I started out, it was hard for me to shed that “I have to do it myself or it won’t get done right” mentality and focus on training and supporting my team. I learned that a leadership state of mind is about empowering others so they can grow. Make it clear that they own their responsibilities and successes when a job is done well. Mentors and a strong support system will also help create your leadership state of mind. Don’t be afraid to reach out to mentors and fellow managers in order to polish your leadership skills. In addition, consider your own experiences with past managers. Find ways to implement the effective techniques that leaders used to manage you and steer clear of the practices that negatively affected your productivity or view of the organization. There is no doubt that leading, coaching and mentoring are harder than just doing. But with a sense of humor, the right direction and dedication, new managers can inspire their organization using a leadership state of mind.